A group of families who have lost loved ones to a car crash. We came together to advocate for traffic safety and to stand together against all traffic violence. Safe streets in which deaths caused by preventable traffic collisions do not exist. We seek to raise traffic safety awareness through education , presentations and diverse activities that motivate the eradication of bad habits as users of the various sources of transportation. 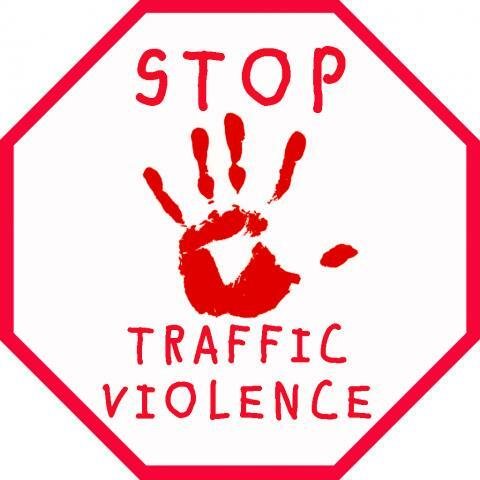 AileenQ also supports and volunteers to the various organizations who advocate for traffic safety. We promote and seek support from our communities toward the different initiatives which purpose is to make our streets safe and improve the transportation system for all users. Kids, the new generations are our motivation, and hope for a better future but ultimately we want to achieve safe streets for all. The connotation (subtext) of the word "accident"is that there is no fault. While there are some faultless crashes, the fact it is that roughly 93% of the crashes are the result of human error*. Using the word "accident", implying that an incident is faultless, without investigation being completed, is usually an inaccurate depiction of most roadways events. Crash is an accurate description of the physical incident, crash does allude to causality or fault - it is neutral. Crashes are avoidable.People don't accidentally speed, or accidentally drink and drive or accidentally use their cell phone. The use of the word "crash"encourages an evidence based approach. San Francisco Bay Area Families for Safe Streets (SFBA FSS) is a volunteer group of individuals who have personally survived a severe traffic crash, or whose loved ones have been killed or seriously injured in a traffic crash. Together, the SFBA FSS members are committed to preventing these devastating crashes from taking a toll on additional families. Help win support for AB 342, the Safe Streets Act, which will authorize San Francisco and San Jose to pilot safety cameras, a proven, cost-effective solution to reduce speeding and prevent crashes. sign the AB 342 petition.